Here at Reynolds we continue to develop our service levels into Europe by building relationships within the logistics sector and teaming up with highly established Solstor. 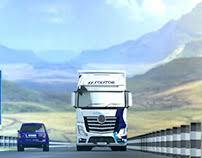 It has always been our ambition to create a solid network of quality hauliers, with an objective to work together, and maximise our capabilities. Working from the Crayford branch, we have increased our presence on refrigerated work. From the Folkstone branch, on Import and Export with General Haulage”. Established in 1983 to carry AG Thames Group produce inbound from Mediterranean regions.Then in 1990 the company Re-structured to become a stand-alone company specialising in temperature controlled services across Europe. Over the years, Solstor have gained a strong reputation internationally and consequently obtained number of multi million pound contracts. Proudly, in 2017 Solstor reached AA Grade BRC Global Standards. We look forward to working with Solstor more in the future.